The 2019 Smart EQ fortwo is a 2-door, 2-seat Coupe, available in 5 trims, ranging from the pure Coupe to the prime Cabriolet. Upon introduction, the $23,900 pure Coupe is equipped with a standard , 0-cylinder, engine that achieves 124-mpg in the city and 94-mpg on the highway. an Automatic transmission is standard. The $29,100 prime Cabriolet is equipped with a standard , 0-cylinder, engine that achieves 112-mpg in the city and 91-mpg on the highway. an Automatic transmission is standard. smart, a microcar company based in Germany, is actually a division of Daimler AG, the company known for making another well-known German car brand… the Mercedes. 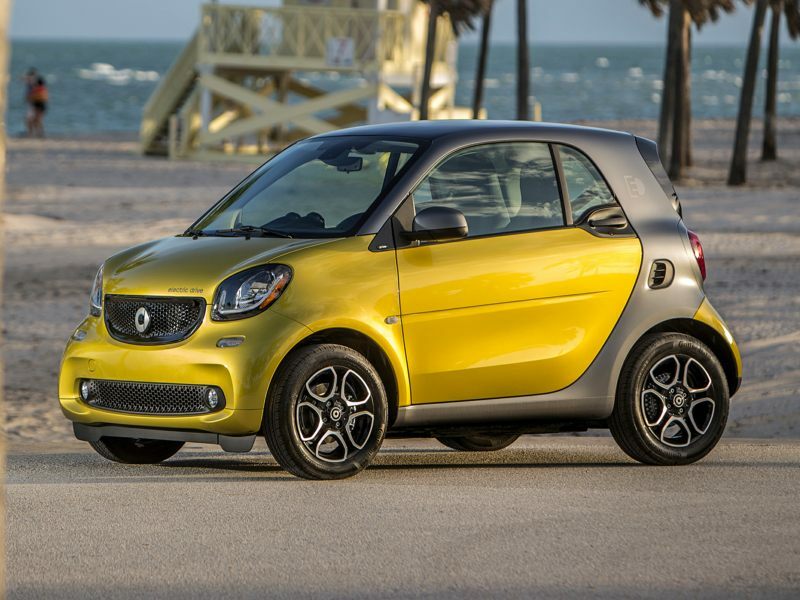 But a smart is about as far from a Mercedes as you can get, in terms of style and substance. A microcar is made for people who want a small car to get around an urban environment, and don’t need or desire anything more complicated than that. Autobytel’s gallery of smart pictures provide a lot of insight about the smart car’s original design (it’s evolved somewhat, but not much). The car’s original aesthetic was inspired in the late 1980s by Swatch watches’ design and manufacturing principles, but it’s a big leap of logic from making watches to making cars, so the team decided to partner with an auto manufacturer. Volkswagen was attached to the project in the early 1990s, but they were already working on their own subcompact model. In 1993, the agreement ended, and the microcar project ended up at Daimler. The smart photos from the early days look remarkably similar to the smart cars of today. In fact, that consistency can be said about smart images across the board. Since 1998, the company has produced only a handful of smart models, and only the Fortwo is currently available (in gasoline models and a very limited electric edition). The company has experimented with roadsters and convertibles and a handful of concepts that never made it to production, but the two-seater microcar is what gets the job done.